AUGUST 19, 2017 – SAVANNAH, GA – Those who support and enjoy the Ogeechee River as a source of recreation, income and local pride recently had a chance to catch up on matters relating to the region’s most prized natural resource. 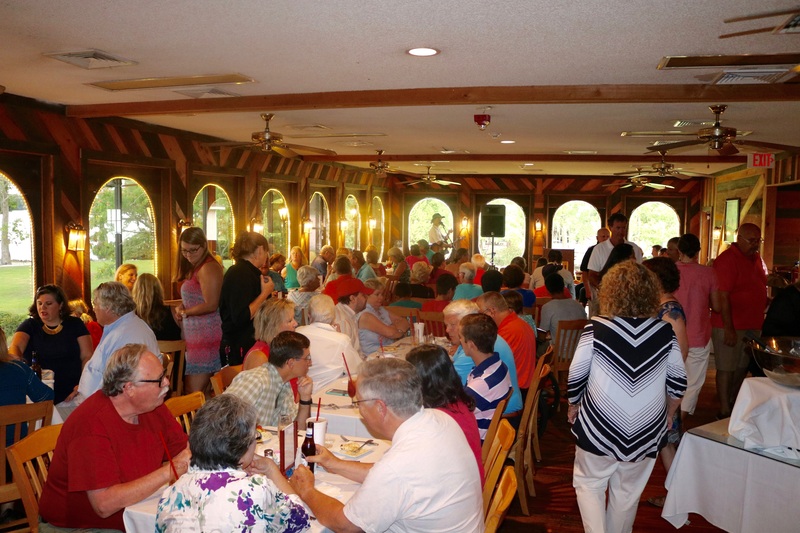 ORK hosted its annual meeting and awards Saturday, Aug. 19 at Love’s Seafood Restaurant. The popular local eatery, a “River” level corporate sponsor of the non-profit organization and longtime supporter of the waterway itself, provided guests with stunning views of the Ogeechee River while they enjoyed delicious hors d’oeuvres, drinks and good company. Attendees received an update on the progress and development of the river basin and the organization. Ogeechee Riverkeeper recognized a few of their outstanding supporters and awarded Charlie Martin as Volunteer of the Year, Mark Dallas as Monitor of the Year, Moon River Brewing Company as Business of the Year and Cami Sockow from the Sustainability Center as Georgia Southern University as Education Partner of the Year. The organization was also honored to name Francis Allen and Keith Seibert as this year’s Legacy Award Winners. Proceeds from this event benefitted the Ogeechee Riverkeeper, a 501(c) (3) whose mission is to protect, preserve, and improve the water quality of the Ogeechee River basin through a watershed watch program, a healthy waters agenda, and a hometown waters education program.